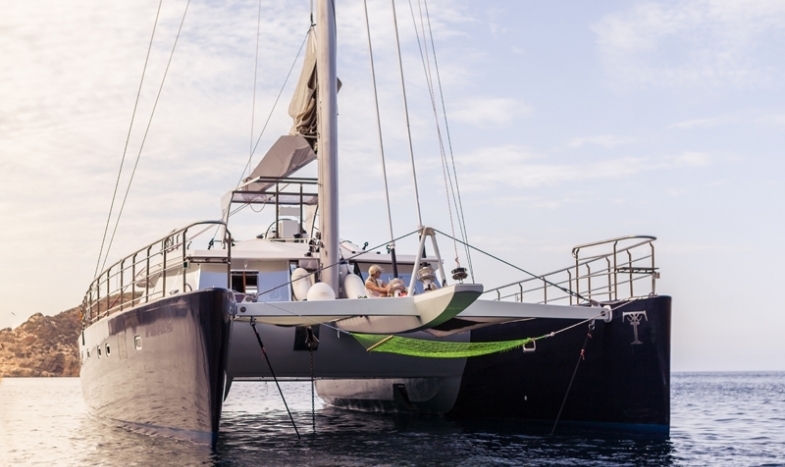 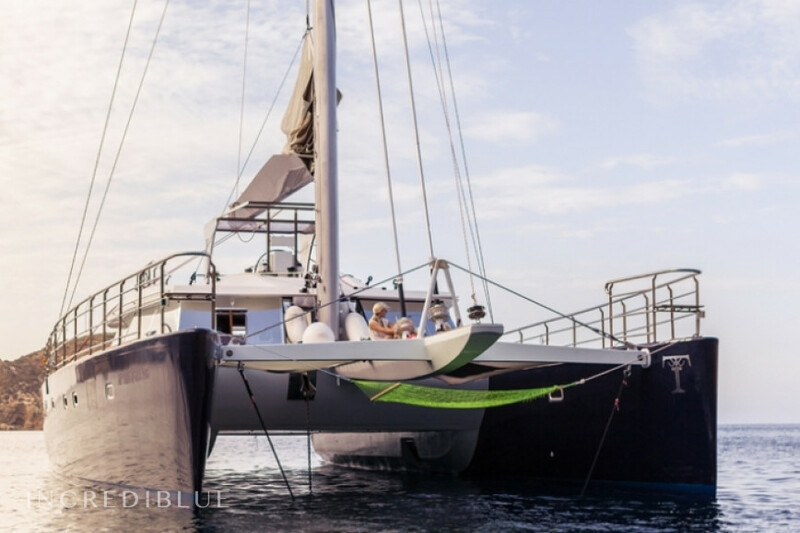 Rent this luxury catamaran and groundbreaking minimalist style. 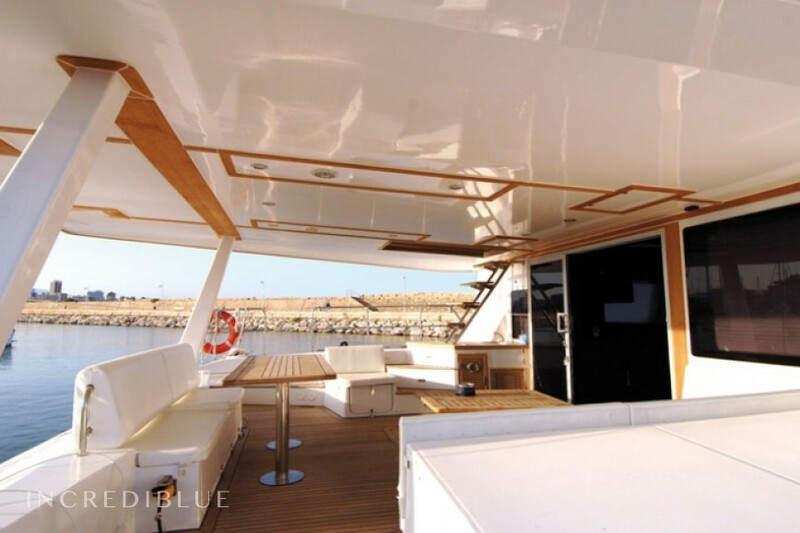 Built in 2008 redesigned 2015 it combines comfort, elegance and safety. 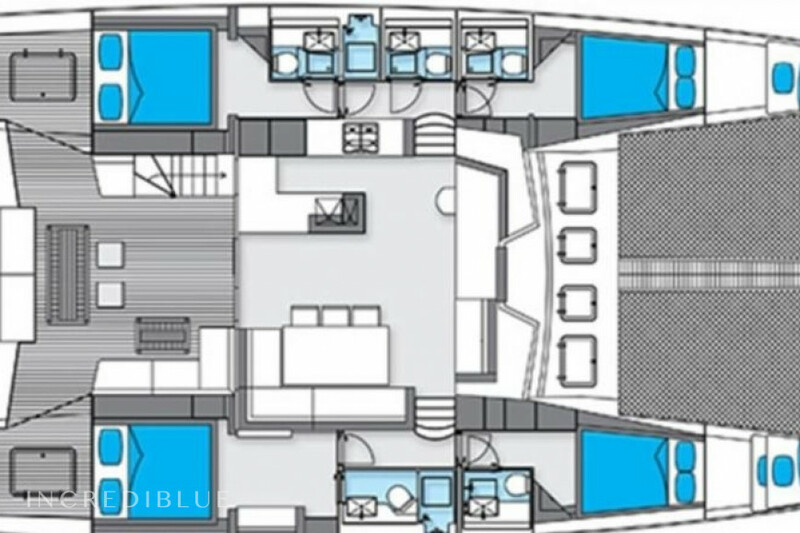 With 4 cabins, 2 crew cabins and 5 bathrooms accommodates 10 passengers plus 2 crew people. 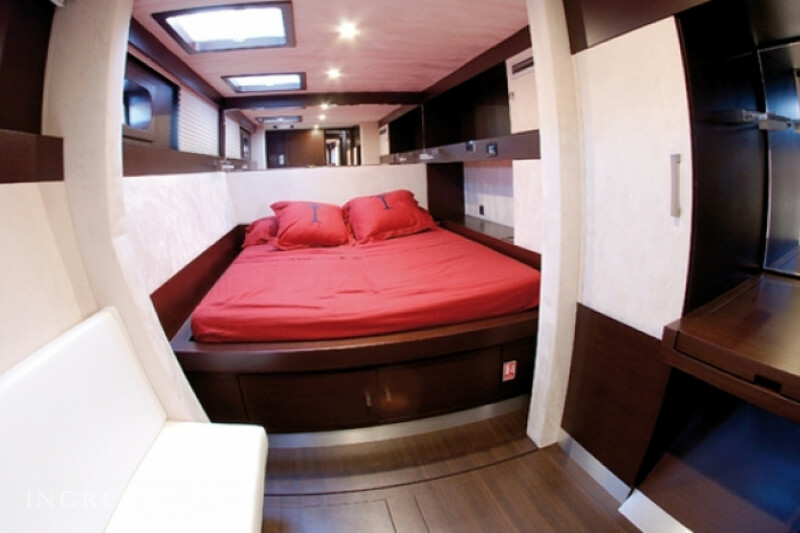 It has separate shower modules in each bedroom. 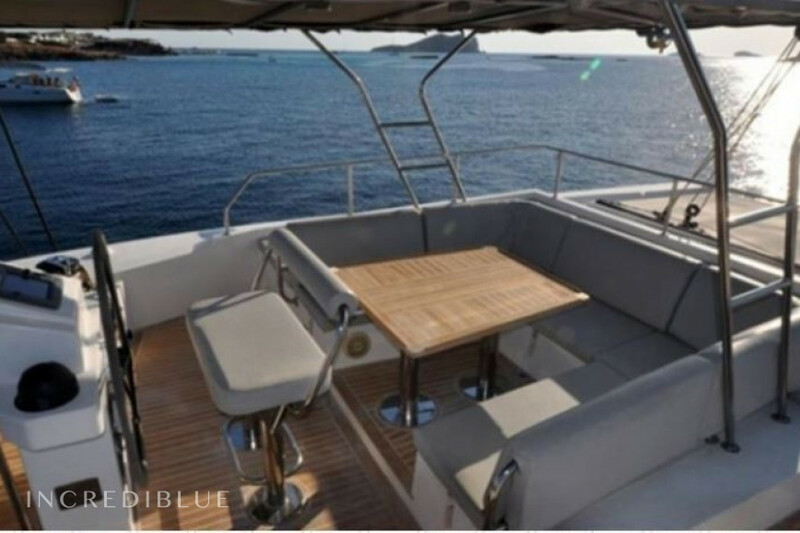 Its interior designed with walnut wood and Anegre taking care of the smallest detail to offer total comfort on board. 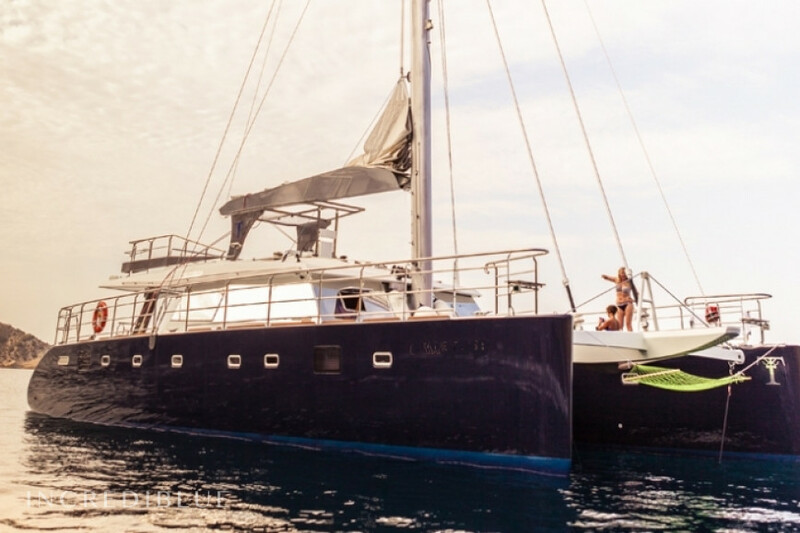 Its exterior features a large solarium with cushions bow and a large bathtub to relax aft. 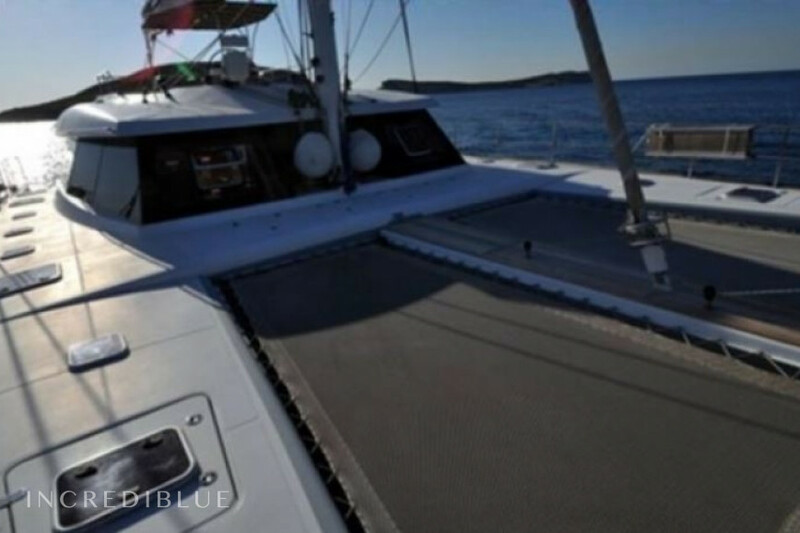 Flybridge cover and well-protected by a large bimini. 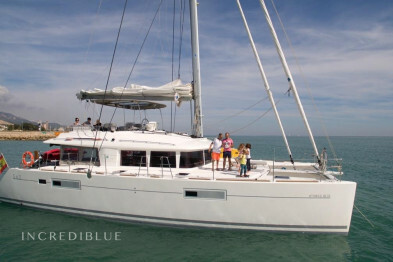 Equipped with water toys to have fun with your family; paddle surfing, kayaks or wake boards. 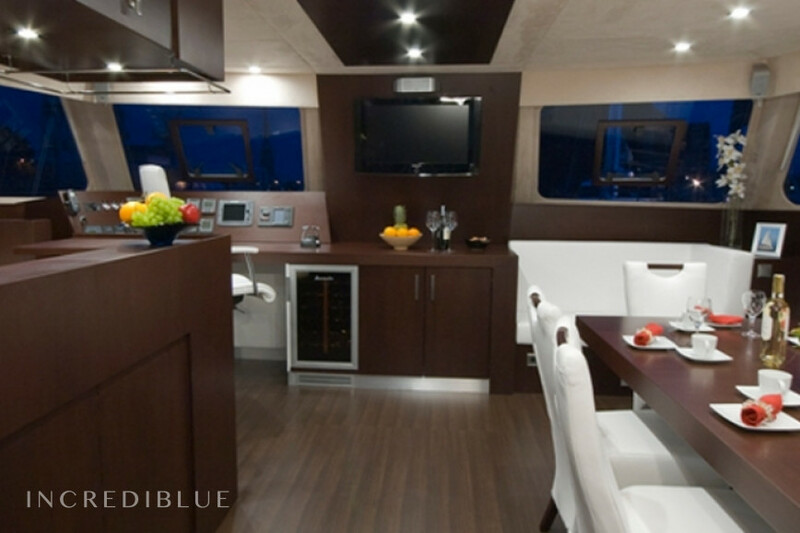 Equipped with all the amenities to make holidays unforgettable.